A thoroughbred dual-purpose IRC production design combining performance, beauty, and affordability. 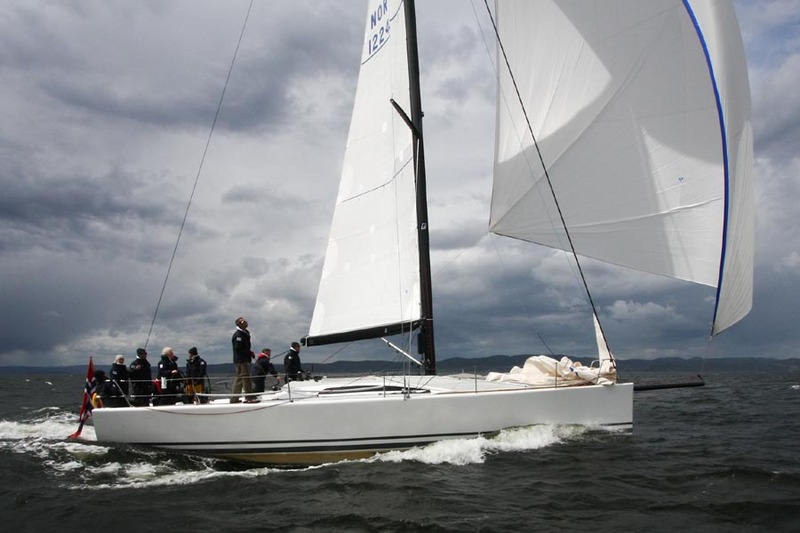 Mills Design Ltd. is proud of the Landmark 43 high performance IRC Cruiser/Racer. 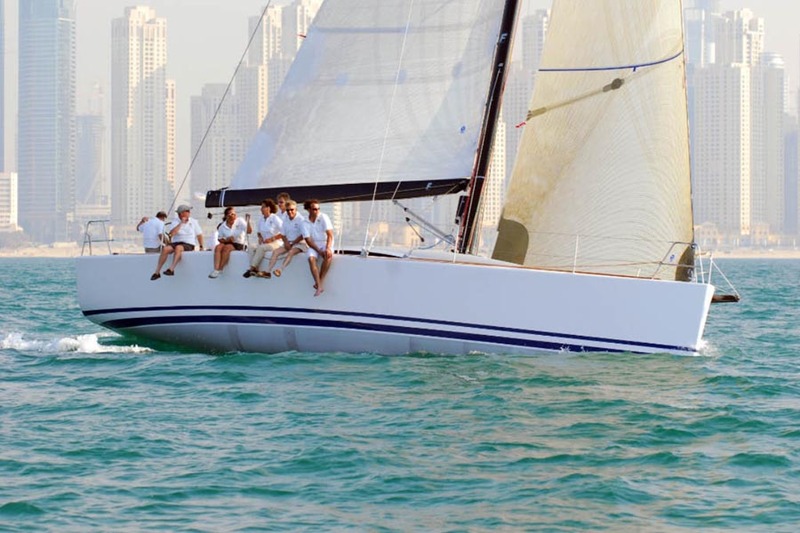 This design builds on our unparalleled experience with winning dual-purpose IRC designs both custom and production to offer true performance cruising comfort and outstanding results on the racecourse. She reflects not only our devotion to high performance design, but also our aesthetic drive to create dynamic high performance yachts of stunning visual appeal. The hull has been drawn to offer the highest performance across the widest set of conditions compatible with production yacht weight controls and suitable interior volume for a performance Cruiser/Racer. 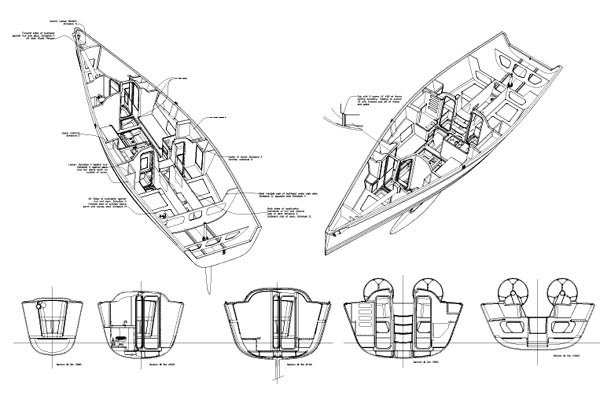 The hull shape is a development of our 2006 Racer/Cruiser Mariners Cove with an increased emphasis on catering for a wide range of displacement and trim changes to minimize performance loss with extra weight onboard, especially weight aft. 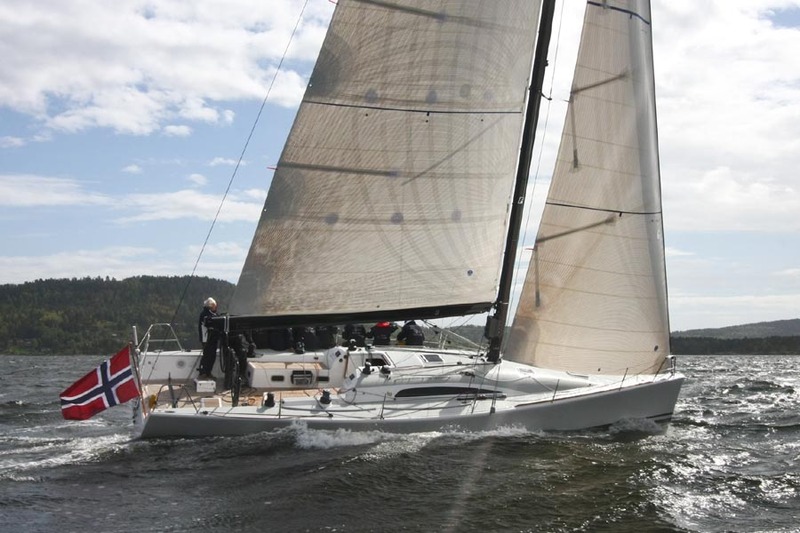 The waterline length has been set to extract some benefit from IRC’s treatment of overhangs, particularly aft, without going to the extremes of a custom racing design. This ensures a good balance of performance with positive rating attributes. 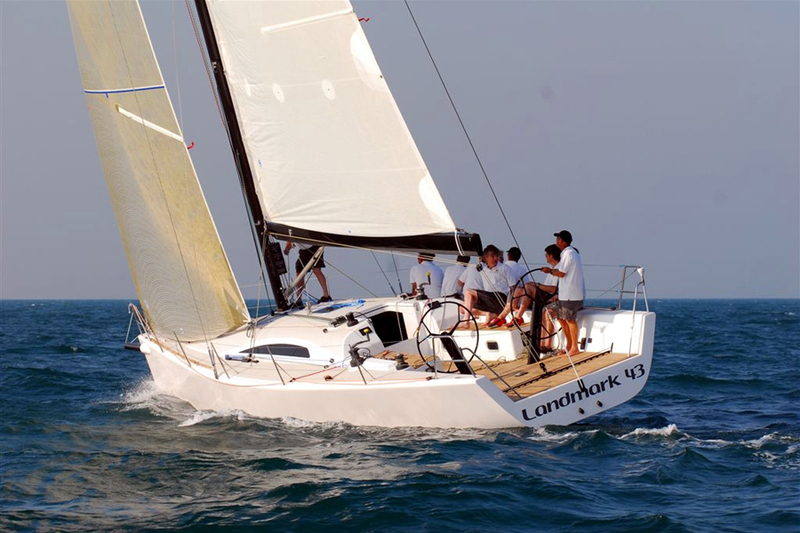 The other performance factors comprise a fine entry for performance in a chop, a narrow waterline beam for reduced frontal drag, and a stern section with a flat run but not overly beamy sections to provide controllable speed offwind without an undue rise in wetted surface area for consistent pace in lighter conditions. 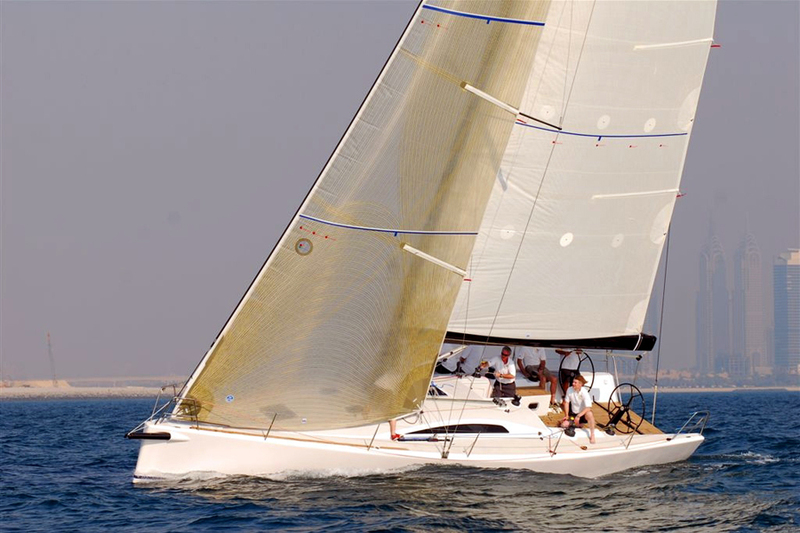 To achieve our weight targets the hull, deck, and interior construction are foam cored epoxy/E-glass laminates. This makes use of the higher materials properties of an epoxy laminate including greater stiffness and resistance to blistering. Much of the interior structure can be handled by a single composite “IGU” molding which provides a landing for all the interior furniture and allows for efficient construction. 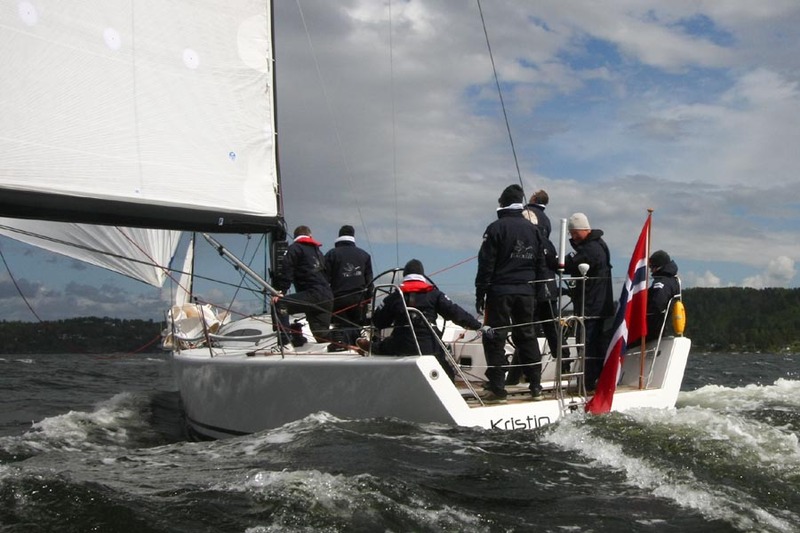 The loads generated by the deep keel and bulb however are best met with an anodized alloy keel grid which offers the stiffest solution to static loadings as well as the best force distribution for unusual dynamic loadings such as a grounding. 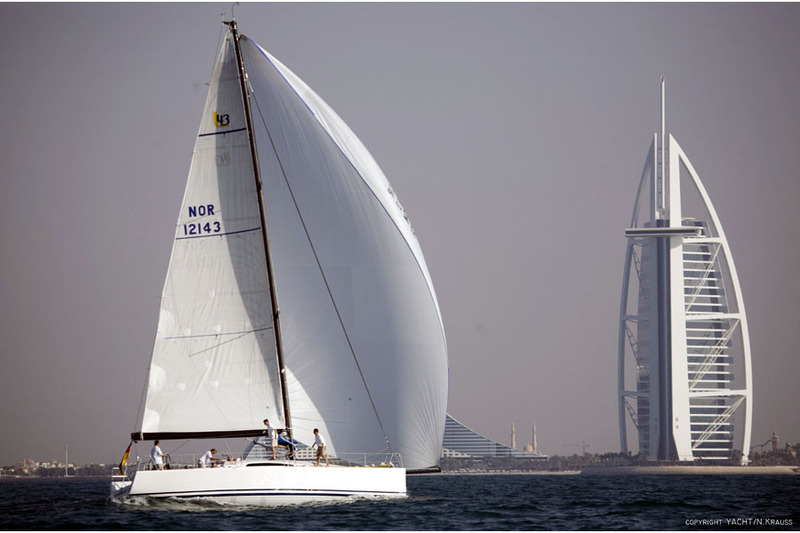 The engineering and construction exceeds ABS Offshore standards, as well as being CE Marked class A ‘offshore’. The deck design maintains a balance between a large coachroof for optimum internal volume and a large cockpit for improved racing performance. The central cockpit area has seats and coamings providing a comfortable enclosed space, in the middle of which is a life raft locker accessed via a flush fitting hatch. Aft of this the cockpit makes full use of the space available with twin wheels offering both the best racing position for the driver, but also ensuring that no-one has to leave the cockpit when moving behind the wheels. 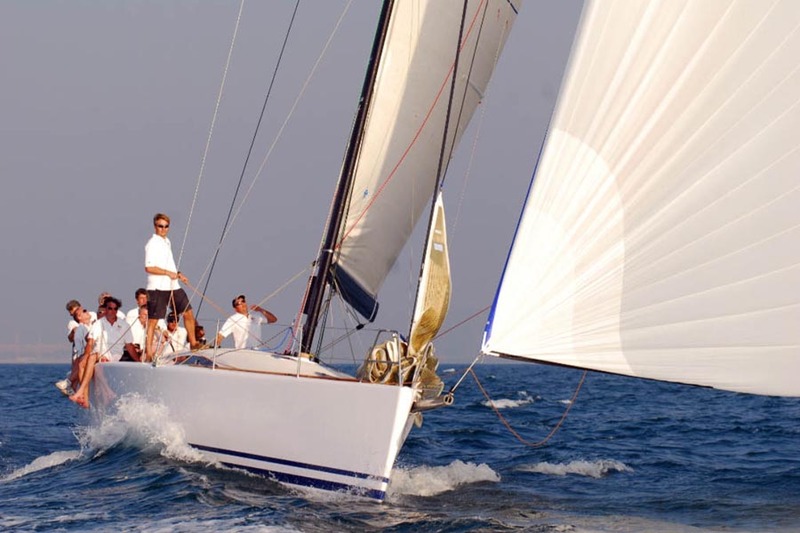 The traveller on the aft deck is removed from the helm and wheel pedestals for safety in a gybe and is the optimum mainsheet attachment location. Forward of the main hatch separate halyard clutch banks in front of each secondary winch control all the halyards and control lines for safe control from the cockpit. 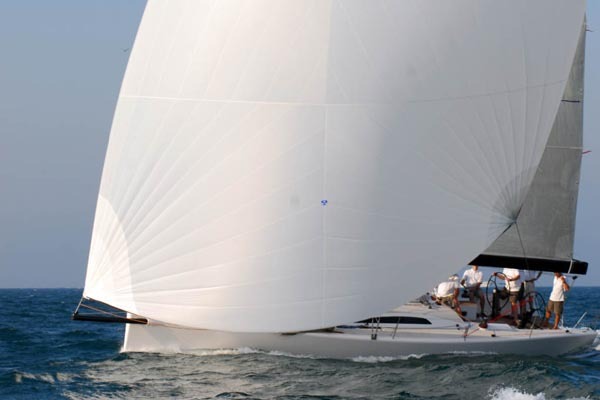 The coachroof design optimizes the jib sheeting angles, and has a jib inhauler system for perfect light airs trim. 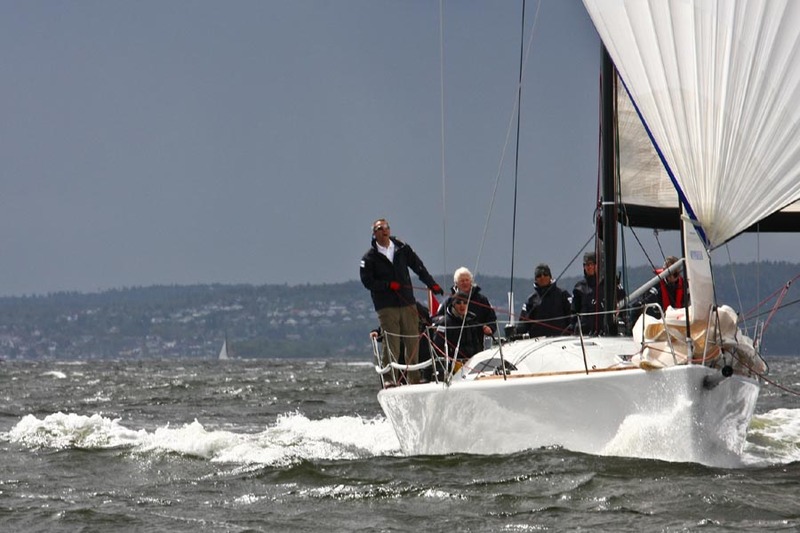 An ISAF SR toerail encloses the foredeck, which has a deep anchor locker containing the recessed furler and recessed mooring cleats. 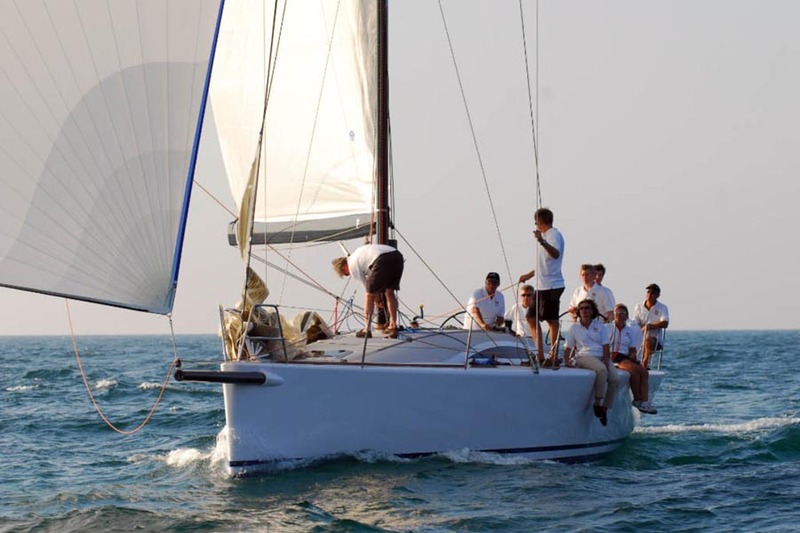 The bright interior with 3 double cabins and large galley and nav station trimmed with wood is as comfortable for an extended family cruise as it is for racing around the buoys. 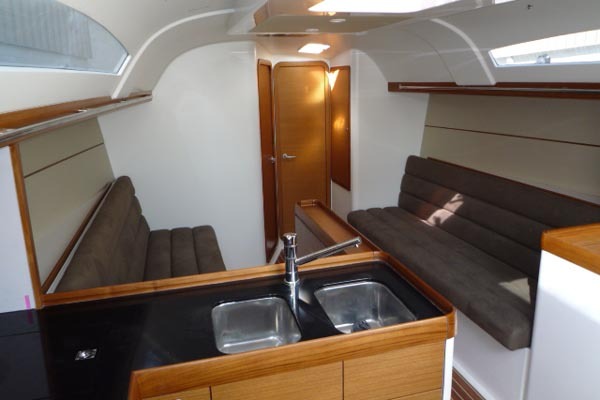 The spacious head with access both from the forward cabin and the saloon ensures complete amenity. Attention has been paid to light and ventilation below with careful hatch and portlight placement. 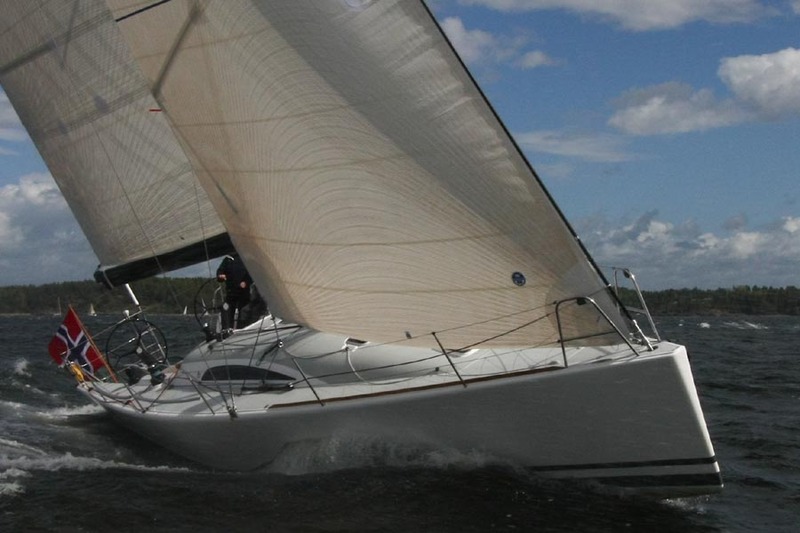 In addition to the main hatch and foredeck hatch there are twin small hatches over the head and forward cabin spaces, and a square hatch in the coachroof centrally over the saloon. In the aft cabins there are opening portlights in the cockpit seat fronts. 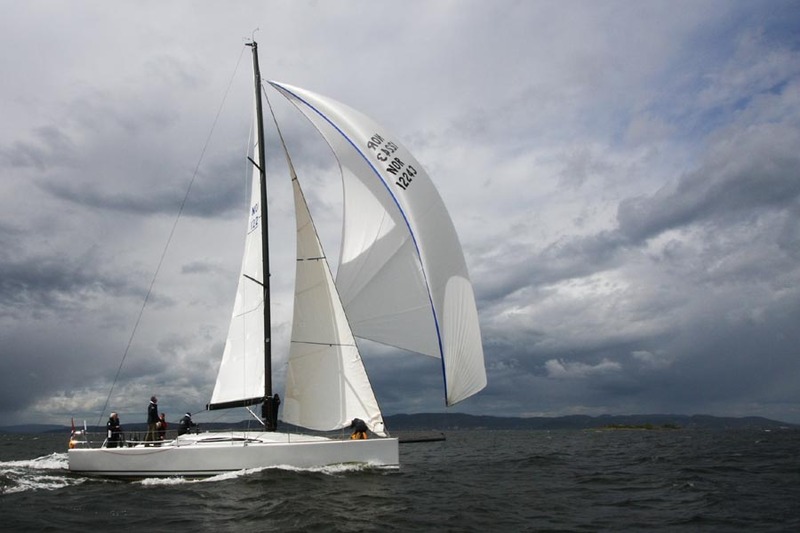 The swept 2-spreader carbon rig from Formula Spars is the preferred rig geometry for IRC, but more importantly is recognised as the simplest most straightforward rig type for all use, offering performance, handling, and rating benefits. 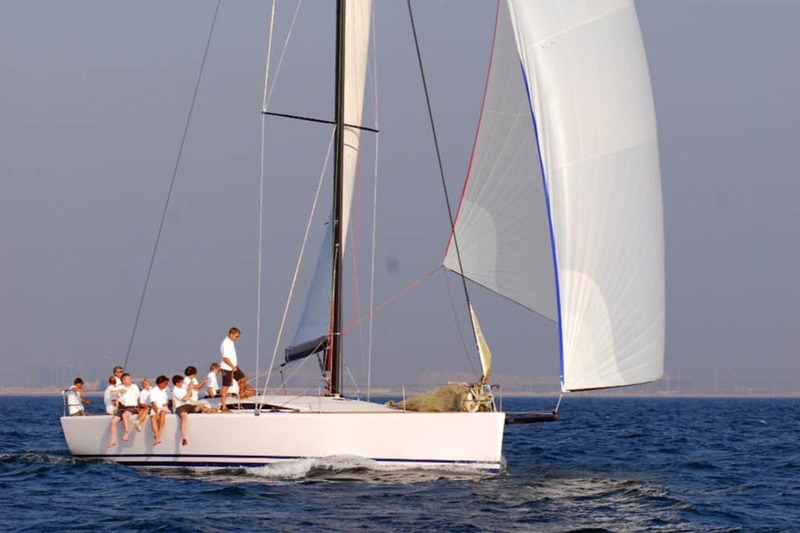 Carbon as a mast material is fairly treated in IRC above 40’, and is desirable for its reduction in the overall VCG of the yacht. 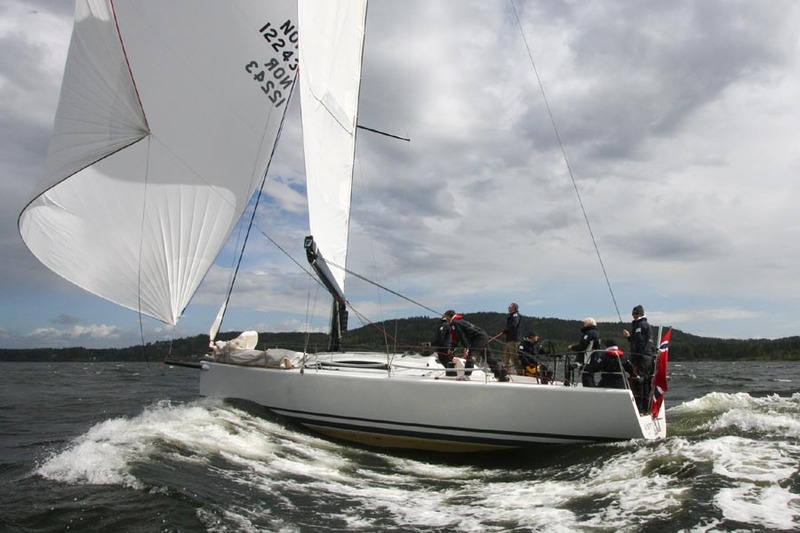 The large asymmetric flown off the carbon bowsprit is a very effective solution while racing, and offers significant benefits for shorthanded and leisure use. 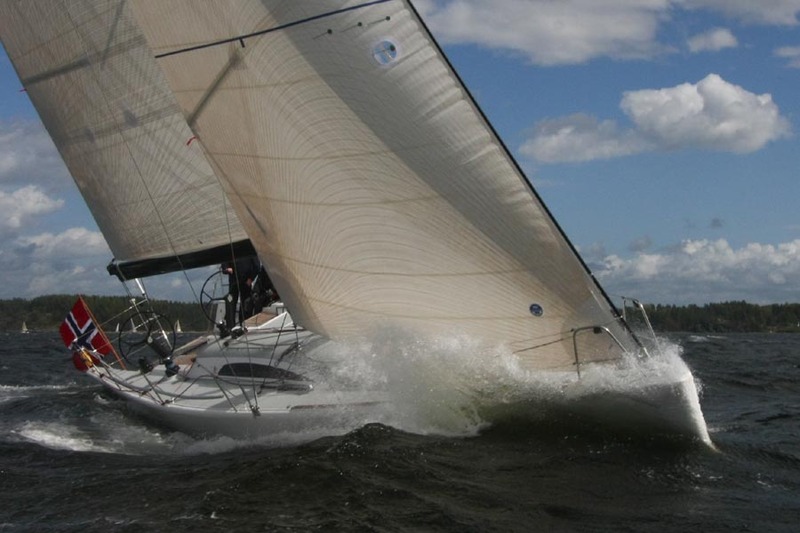 Sail handling has been arranged with a shorthanded sailing in mind, with all halyards leading back to the cockpit and features items such as the batten slider system on the main and the roller furling jib which have been included in a manner that has minimal impact on the racing performance of the design while improving the shorthanded utility of the sail plan. 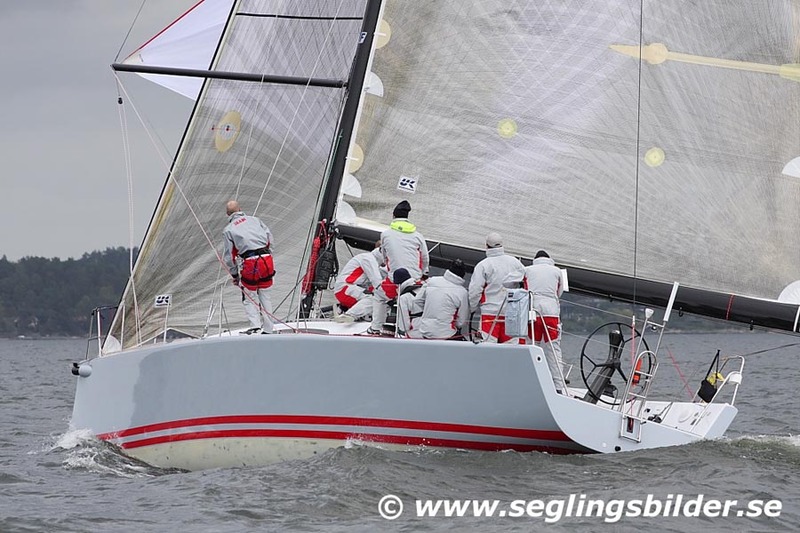 The mainsheet runs along the deep sectioned boom in a ‘German Admirals Cup‘style system, with an underdeck return to the mainsheet winch ensuring a tidy side deck. This design represents the next generation of IRC Performance Cruiser Racers, and reflects our commitment to creating beautiful, fast, and reliable performance yachts.